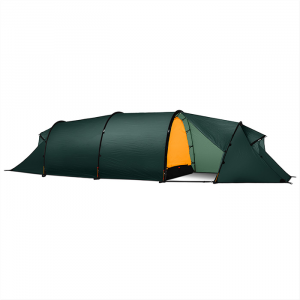 This tent is advertised as a 4-season tent, but doesn't measure up in several areas. 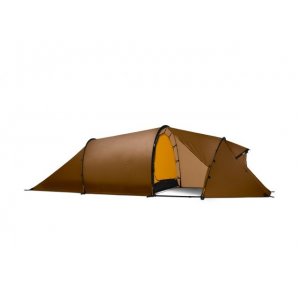 It uses 6 fiberglass poles of thin diameter for the body of the tent and 2 additional poles to support the vestibule, as large as this tent is aluminum poles would have been better or at least larger diameter fiberglass. The floor is not of the bath tub style and the seams that join the floor to the tent body need to be seam sealed. 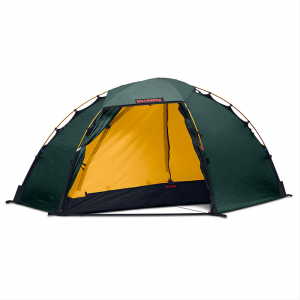 One major flaw for a so-called 4-season tent is the lack of tie downs. There are only two on the tent body itself. This is obviously inadequate for a tent of this size. Also the stakes that came with the tent are small and would provide little holding power in any kind of wind. 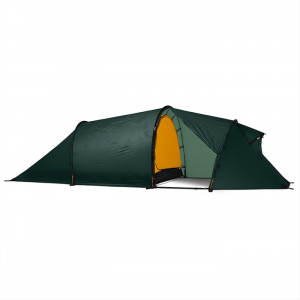 There are two large vents in the tent roof which would be good for summer ventilation, but they cannot be closed off for winter camping. Also the tent I received had two puncture marks in the tent body. I patched these myself as it would not have been worth the money to send it back. 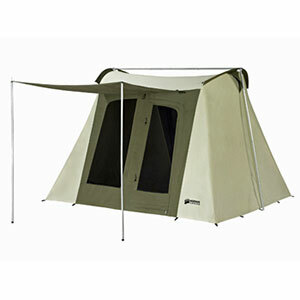 This tent does have a large vestibule and two doors, which is nice, and it is a pleasing green and grey color. The Expedition Geodesic Dome has been discontinued. The Trekk Expedition Geodesic Dome is not available from the stores we monitor.